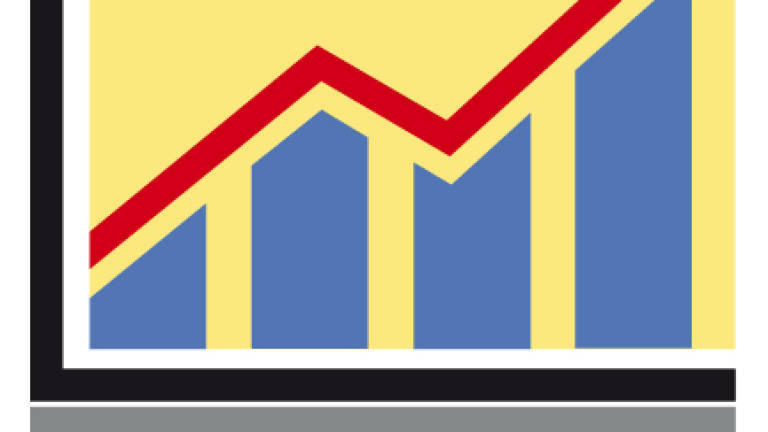 15 Apr 2019 / 17:34 H.
KUALA LUMPUR: Bursa Malaysia closed mixed today in line with the regional market sentiment, as mild profit-taking in selected consumer and plantation counters limited gains, a dealer said. The benchmark FTSE Bursa Malaysia KLCI (FBM KLCI) rose 1.16 points to 1,631.33 from 1,630.17 at Friday’s close. The index opened 4.78 points higher at 1,634.95 and fluctuated between 1,630.83 and its intra-day high of 1,638.87 during the day. Market breadth was weaker with 595 losers and 311 gainers while 371 counters were unchanged, 615 were untraded and 31 others were suspended. 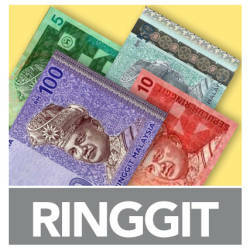 Volume was slightly lower at 3.13 billion units worth RM1.75 billion from 3.26 billion units worth RM2.08 billion. FXTM research analyst Lukman Otunuga said Asian markets kicked off the week in the green, as risk sentiment increased following a strong start to the latest US earnings season. “JPMorgan and Wells Fargo set the tone late last week with strong earnings reports, providing confidence to equity traders that corporate America is performing well amid robust economic conditions in the United States. “Further encouraging readings during the remainder of the earnings season should feed into the broader risk sentiment narrative, and help improve investor confidence, as long as the releases do not reveal any negative surprises,“ he said in a statement today. Adding to the risk appetite seen in early trade this week are China’s March external trade figures, which were released at the end of last week and helped ease some of the concerns over a decline in the nation’s economic momentum, he said. “China’s exports for the month surprised to the upside, suggesting that global demand for trade remains intact and that the Chinese economy will find solid footing as a result,“ he added. 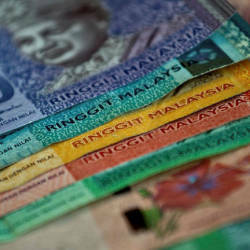 Of the heavyweights, Maybank, Public Bank and IHH Healthcare slipped two sen each to RM9.25, RM22.58 and RM5.58, respectively, while Petronas Chemicals rose six sen to RM8.90 and TNB gained four sen to RM12.32. Of the actives, Sapura Energy shed one sen to 33.5 sen, Prestariang went down seven sen to 53 sen, Hibiscus Petroleum was three sen lower at RM1.14 while Eduspec added one sen to four sen. The FBM Emas Index rose 0.28 of-a-point to 11,561.74 and the FBMT 100 was 5.64 points higher at 11,391.61 but the FBM 70 shed 2.89 points to 14,475.60. Meanwhile, the FBM Emas Syariah Index climbed 6.21 points to 11,768.60 and the FBM Ace Index declined 77.83 points to 4,671.57. Sector-wise, the Financial Services Index added 6.35 points to 16,828.42, the Plantation Index put on 2.25 points to 7,271.59, while the Industrial Products and Services Index gained 0.21 of-a-point to 168.34. Main Market volume decreased to 1.79 billion shares worth RM1.54 billion from 2.37 billion shares worth RM1.89 billion on Friday. Warrants turnover rose to 541.80 million units valued at RM131.21 million from 401.6 million units valued at RM93.2 million previously. Volume on the ACE Market swelled to 800.32 million shares worth RM80.60 million from 491.4 million shares worth RM89.7 million on Friday. Consumer products and services accounted for 298.03 million shares traded on the Main Market, industrial products and services (273.18 million), construction (232.86 million), technology (165.01 million), SPAC (nil), financial services (35.92 million), property (167.76 million), plantation (14.40 million), REITs (9.52 million), closed/fund (11,300), energy (481.09 million), healthcare (18.40 million), telecommunications and media (28.11 million), transportation and logistics (31.90 million), and utilities (34.13 million).